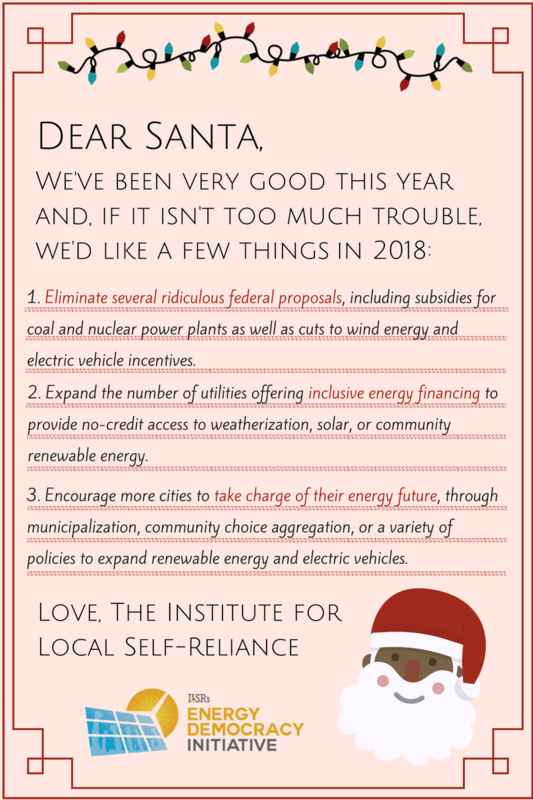 Dear Santa… ILSR’s Annual Energy Policy Wish List! 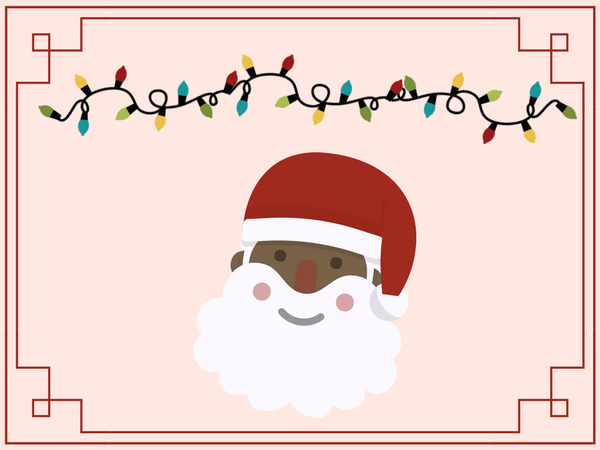 We’ve been very good this year and, if it isn’t too much trouble, we’d like a few things in 2018, let us know! The most accurate characterization for federal clean energy initiatives in 2017 is “filling the swamp.” Proposals include reducing federal incentives for wind power and providing subsidies for aging and expensive centralized, coal and nuclear power plants. A version of the tax bill would also eliminate tax credits for electric vehicles. All three policy changes would result in higher energy costs in the short and long term, result in much greater pollution, and slow efforts by many communities to transition to clean, local power. 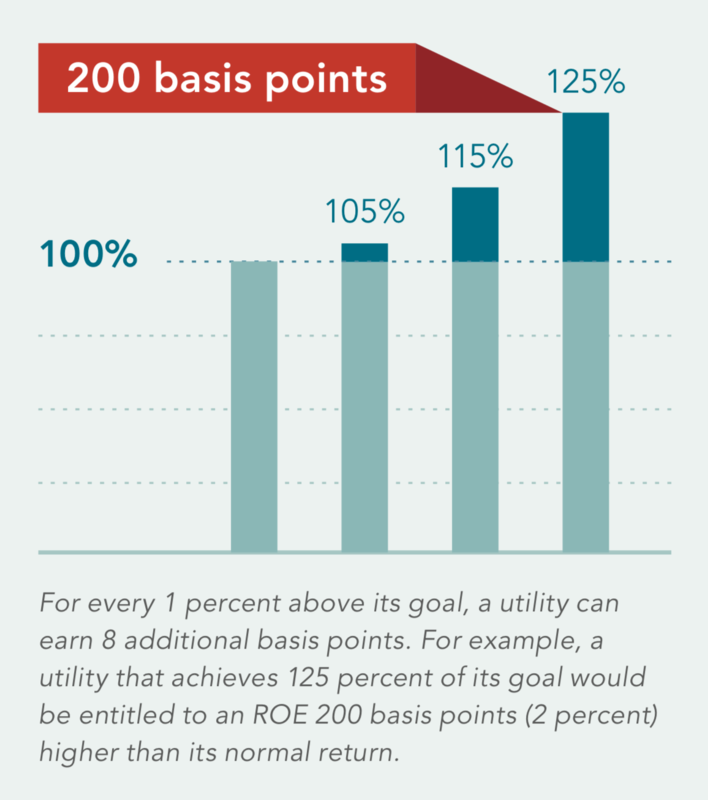 Inclusive financing means any utility customer that takes action to reduce their energy use can tap utility-provided capital, and pay back the cost through their utility bill. It means poor credit doesn’t have to be a barrier to clean energy savings. 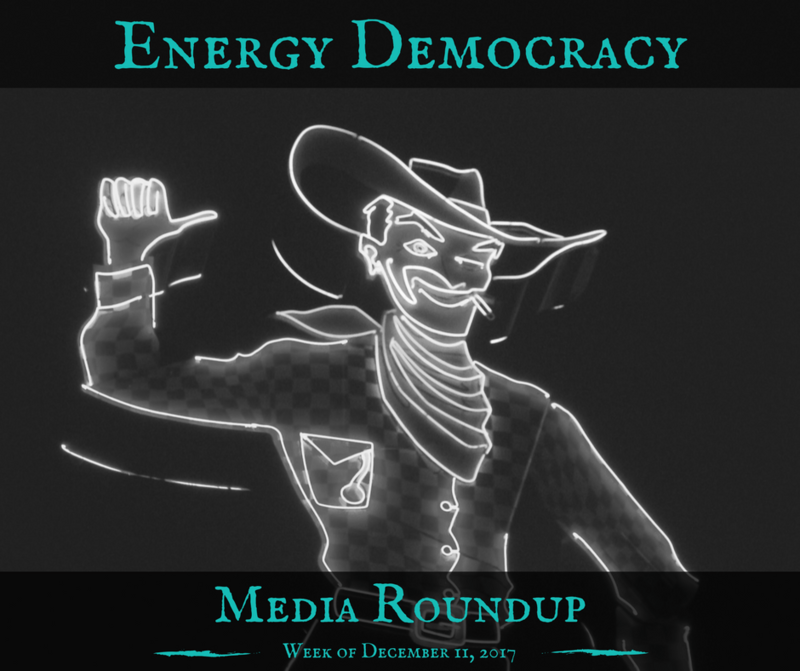 Several utilities already offer zero-down, all-credit access to energy savings and we hope it expands in 2018. Cities can take charge of their energy future by taking over the utility, seizing responsibility for electricity purchasing, or expanding solar and electric vehicles. We provide more detail of city-level actions in our Community Power Toolkit.